(CNN) The shutdown stress tested a large government infrastructure that touches everyone’s lives. It didn’t take long after news reports of a ground stop at LaGuardia Airport in New York and delays in Newark and Philadelphia for President Donald Trump to cave and open the government to negotiate his wall at a later date. That could be just a coincidence, but it’s clear that after more than a month of no paycheck, government workers who keep up the country’s national infrastructure were beginning to fray. Additionally, the US economy lost at least $6 billion during the shutdown, according to an estimate from S&P Global Economics. Sick calls had spiked at Transportation Security Administration, which keeps weapons and terrorists off planes. And absences are what caused the delays at the northeast airports on Friday, too. Flying offers Americans a first-hand experience in what happens when the government stops working. The partial government shutdown only affects a small portion of the federal budget, not including the military, Medicare or Social Security. 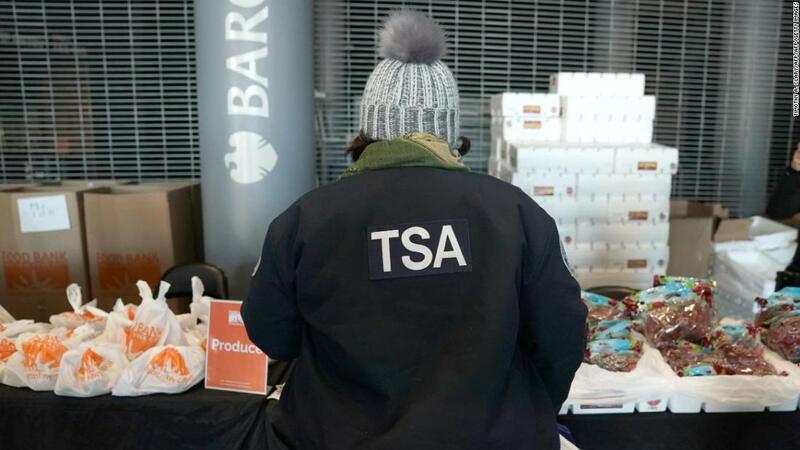 The Federal Aviation Administration (about 44,000 employees) and the TSA (about 62,000 employees), combined to comprise a good chunk of the 800,000 government workers who had been reporting for duty without a paycheck since December 22. 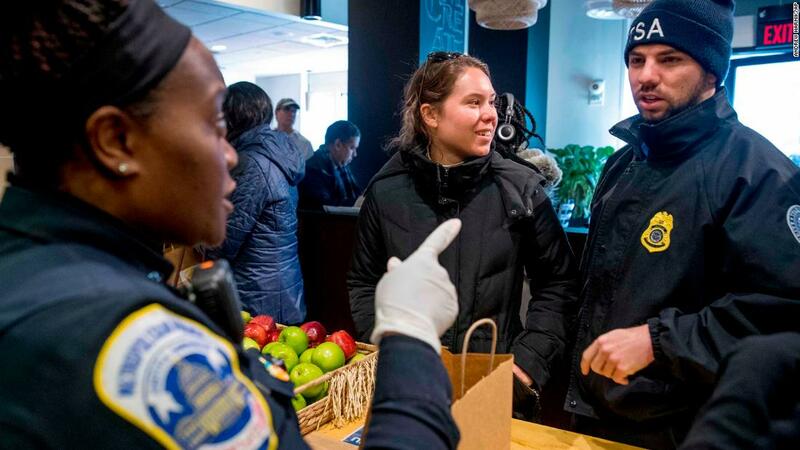 Their importance to the country became clearer each day amid new reports of mobile food banks being dispatched to help TSA workers or reminders that most make less than $50,000 per year. The median salary for air traffic controllers, according to the Bureau of Labor Statistics, is much higher at more than $124,000 per year. US-based airlines carried an estimated 74.1 million passengers in November, the last month for which data is available. That includes both domestic and international flights. Each of the airports affected Friday services more than 150,000 departures each year; each of those three affected airports services more than 15 million passengers each year. Air traffic control towers handled 53 million “operations” — takeoffs and landings — in 2017. There’s been exactly one fatality caused by an incident for a US-based airline in the past 10 years. Trump tried to take credit for that stat as it pertains to 2017, but it’s actually the FAA and air traffic controllers and pilots that get the planes up and down safely. 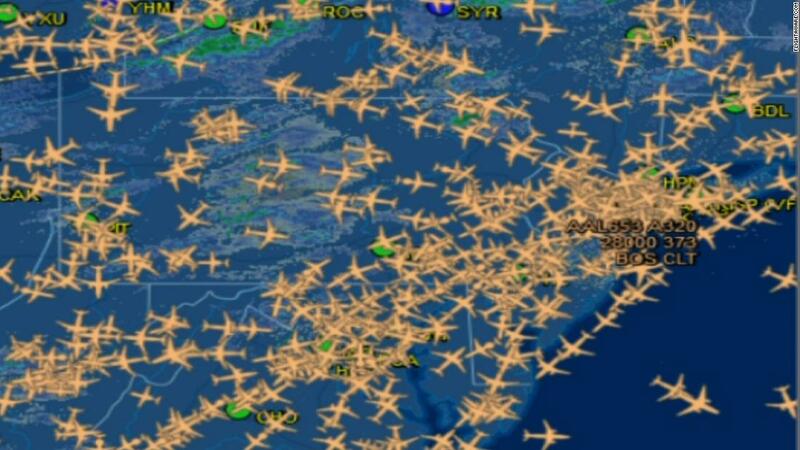 The prospect of meltdown to the nation’s air system — imagine the domino implications to connecting flights and the rest of the country if an airport like LaGuardia, Newark or Philadelphia had to close — may ultimately be the straw that ended the shutdown. But it is an opportunity to look at what functions other unpaid government workers are performing, be they FBI agents (37,000 FBI employees, not all of them agents) investigating crimes or the Coast Guard patrolling coasts (8,600 employees). Both of their leaders had expressed anger with the government over the shutdown. The Environmental Protection Agency, which has more than 14,000 employees, has an extremely broad portfolio: protecting the environment. There are disagreements about what the agency’s mandate should be, but setting all that aside, there are some things the EPA does that are vital beyond question, such as overseeing the cleanup of toxic waste at superfund sites. Superfund is the government’s long-term program to pay for cleaning them up. There’s a good chance you live near one. There are 1,300 (and counting) such sites, the former homes of nuclear power plants, chemical plants, shipyards. That’s how the former site of a plant that allowed chemicals to seep into the groundwater can, years later, be turned into a YMCA. There’s been a 20-25% reductions in birth defects among children living near sites. The US Department of Agriculture (9,100 employees in its Food Safety Inspection Service) and the Food and Drug Administration (18,000 employees) are charged with keeping the food and drug supplies safe. They both called inspectors back to work as the shutdown dragged on. How much arsenic is in your cheese? FDA can tell you. The FDA issues about 200 citations per week on average to producers of food, drugs and other medical devices. The USDA food safety service inspects domestic and imported meat, dairy and eggs. According to most recent data (July to December 2018) they rejected an average of 320 shipments per week. The list goes on if you drill down into the many many government agencies that were either totally shut down or were operating without funds for the past month. The Internal Revenue Service was gearing up to process tax returns and issue refunds without pay. They also recalled workers who verify incomes and enable mortgage companies to process loans. Park Rangers had gone back to work without pay to keep National Parks from being overrun with waste and vandalized. The FAA had also brought back safety inspectors. The USDA had employees working on loans for farmers and on government relief from new tariffs resulting from Trump’s ongoing trade war. Homeland Security had brought back workers to keep its E-Verify system functioning. The Border Patrol had never stopped patrolling the border. And there’s so much more. The list goes on. And so does the prospect of not funding those operations again after February 15 if Congress and Trump can’t find an agreement he finds acceptable to fund a border wall they don’t want to give him.